I didn’t know that another name for Down syndrome is Trisomy 21 — or that it is caused by a third copy of the 21st chromosome. I didn’t even know how many chromosomes we had. Or that we had pairs. And in 9th grade, I didn’t know why tears welled in my eyes when I watched the young girl with Down syndrome dancing in my mom’s Jazzercise class. I had no idea what to think about people with Down syndrome — after all, I didn’t know any. Years before I had any children, I didn’t know why a friend confessed that she longed for a child with Down syndrome. 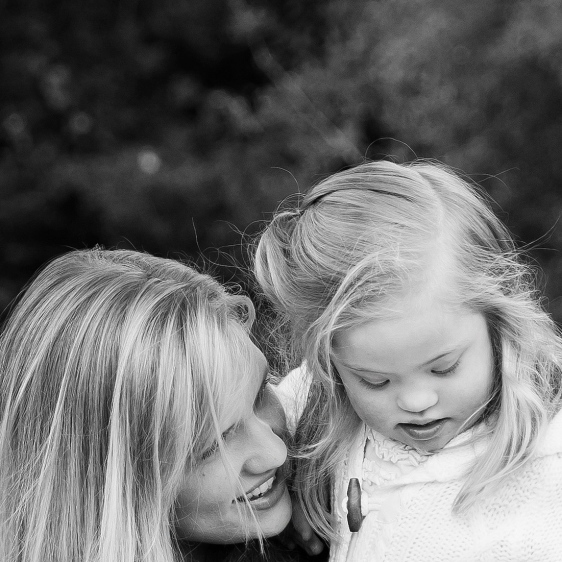 And before the rainy day we received a Down syndrome diagnosis with our second child, I didn’t know what it felt like when everything you think you know, you suddenly don’t. A mother once emailed me after a story I wrote about Kate was published in the Chicago Tribune saying that she didn’t know why people called children with Down syndrome “a gift” until she had one. Another mother said she didn’t know what the future held for her child, but really, do any of us? There is much we don’t know. But there is so much we do. I know that the sun rises in the east and sets in the west and that Kate will giggle when I tickle that one spot on the side of her tummy. I know that she will fuss a dramatic cry if one of her siblings gets put in time out, simply because her nature is one of peace-maker. I know that if a door is open, she will shut it. If a drawer is open, she will unload it. If a heart is open, she will fill it with a great sense of love. I have seen with my own eyes the way she melts the faces of grumpy old men into tender smiles. I have seen the way that by simply being herself, she brings out an authenticity in others. I suppose we all have the qualities to affect the world this way if we could so easily be ourselves. I would guess that what conflicts the hearts of many expectant mothers carrying a child with Down syndrome is not the stuff we do know, but the stuff we don’t. It’s the what if’s and the why’s. It’s a prenatal test result and a cold doctor’s office and a whole world outside the window that feels different than before. But if only we knew that a prenatal test knows so little about life and love and the greatness of the human spirit. 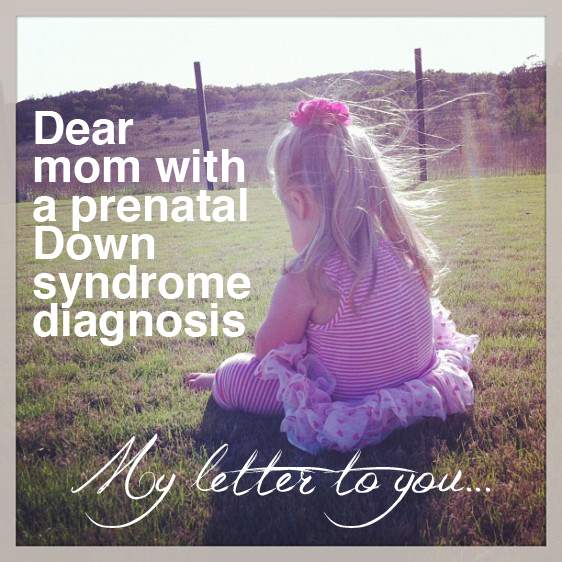 The tricky thing about a prenatal Down syndrome diagnosis is that it is often delivered at the most vulnerable of times with the caveat of: “Here is all you need to know: An extra chromosome. Extra challenges. And are you strong enough to raise a special child?” Many of us would feel incapable with that plain of an explanation. I know I often did in those first days with knowing so little. So little about myself. So little about Kate. I was comforted when at least 30 hands enthusiastically rose to the sky. Because this knowledge is what will change the world. These children didn’t know that Down syndrome had a capital “D” and a lowercase “s.” They didn’t know about the chromosomal makeup of a person with Down syndrome or any of the other random facts I shared — but they knew so much more than I did when Kate was born. They knew people. They had friends with Down syndrome. They sat by kids with Down syndrome in school and had neighbors with Down syndrome. They loved and babysitted and laughed and played with people with Down syndrome. And that was all they needed to know. They didn’t need a pep talk about potential. Or a handout with statistics. They knew that people with Down syndrome are of great value and worth (like all of us) just as I know that one plus two equals three — because it’s fact. And as it is for every parent and every child of every ability forever more — those simple words are the most important thing we need to know.